There was plenty of action on the water for the second day of fleet racing at the RC44 Sweden Cup in Marstrand with a mixed bag of results. 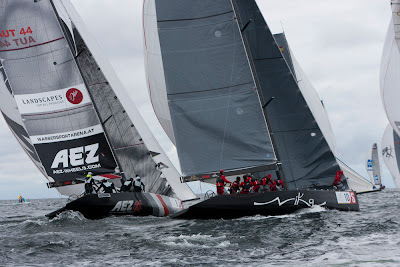 Austria's, AEZ, racked up the first win of the day, in a race that saw the wind continually shift to the left in a pattern that continued for the rest of the day. 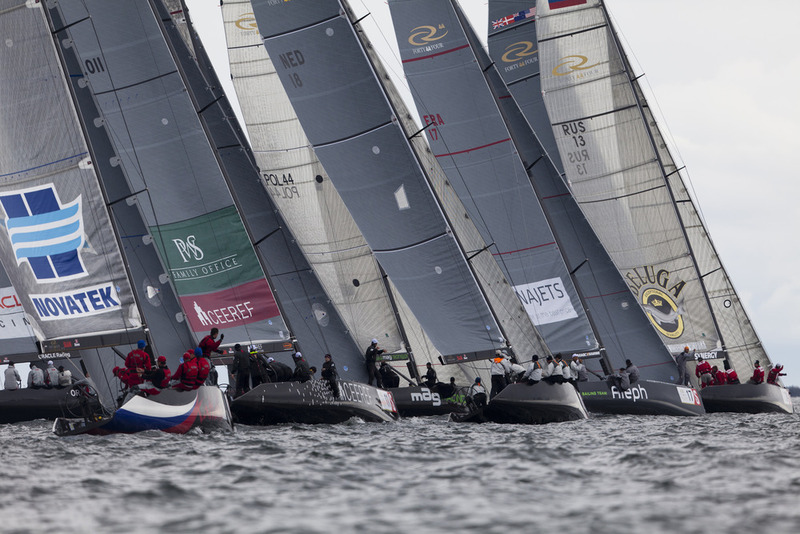 Holland’s No Way Back won the the next race while Russia's Team Nika claimed the third. 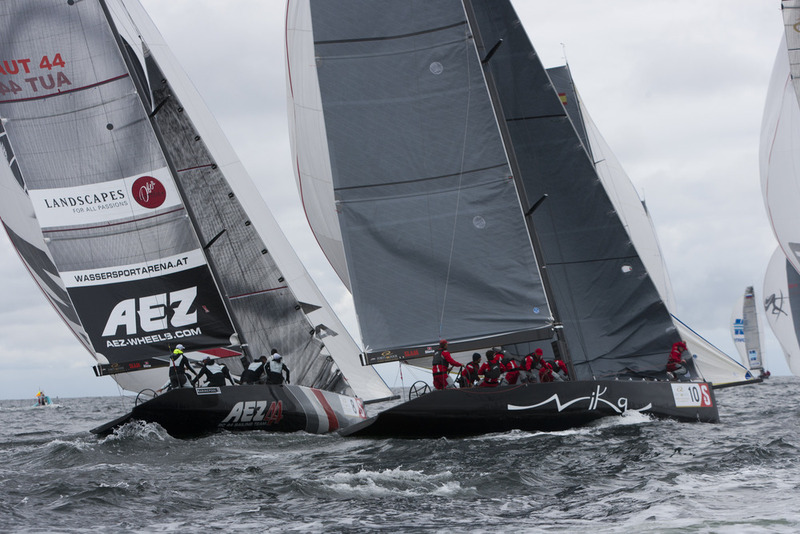 “We were on starboard tack and we didn’t see Artemis and they didn’t see us.” said Inaki Castaner, Peninsula Petroleum's tactician. Peninsula Petroleum crumpled their bow crash box while Artemis Racing suffered a gash to their starboard side and was craned out, putting an end to their day. Peninsula Petroleum went on to compete in the day's final race. Before the collision Artemis Racing’s Torbjorn Tornqvist was having a great regatta in his home waters, lying second in the overall rankings. 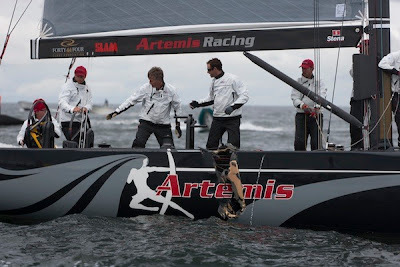 “Artemis Racing had two good races this morning finishing third and fifth. 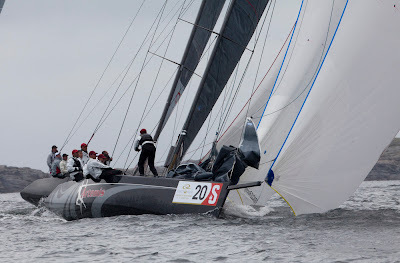 Most unfortunately, prior to the start of race four we were involved in a collision with Peninsula Petroleum, which resulted in serious damage to our RC44. The boat has been hauled out and we are currently assessing the damage,” Tornqvist said.